"I've figured out that the non-event is the best part of life," quips Jerry Seinfeld, as he and Sarah Silverman go doughnut-shopping in Comedians in Cars Getting Coffee's second season debut. In the past, I've thought of this blog as a place where I would typically post "news" or "items of interest" or "updates" of some sort or another that pertained to Something Happening, mostly related to my life as a writer -- a story acceptance, the publication of a review or interview, etc. But Seinfeld's comment, combined with a growing awareness of how people tend to use social networking tools (primarily for "life-casting" on FB; other sorts of more creative self-expression on Tumblr, Instagran, Snapchat etc.) have made me re-think that position. So for the next forty days I'll be performing a little experiment. Rather than posting only sporadically when there's "news," I'll dare to be boring (ooh, aah) and write a blog post every day. That means I'll be talking mostly about non-events (though I can't promise that a small event won't slip in occasionally). 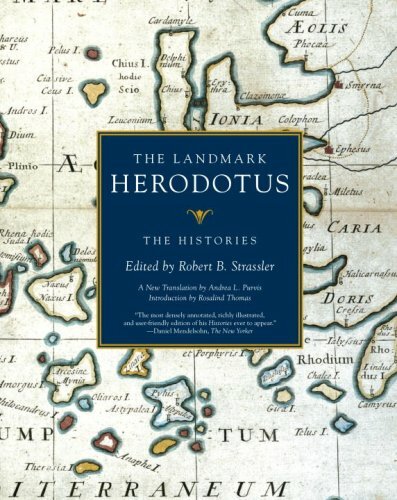 Received a gift from a writer friend, the beautiful The Landmark Herodotus: The Histories and The Landmark Thucydides: A Comprehensive Guide to the Peloponnesian War, as well as a volume of Sophocles I was missing. The gift was touching, and a real surprise. I'll treasure these editions for the rest of my life. Beautiful sunset walk with my girlfriend this evening, after dinner at a local Indian restaurant. Brightest moon of the year loomed large and full of mystery in the sky. Read about 200 pages of Julie Cross' time-travel YA novel Tempest. Reading is one of the best non-event events I can think of. Discovered philosopher Susanne Langer; look forward to reading more about her work.